Let IB&M be your only choice for your steam plant operation. Being an expert in boiler operations means providing a single-source destination where customers can find everything they need in one place. Our engineers will evaluate your energy, space, and budget requirements, and recommend a cost-effective boiler solution tailored specifically for your facility. Steam boilers are designed for low-pressure or high-pressure applications. Low-pressure boilers are limited to 15 psig design, and are typically used for heating applications. High-pressure boilers are typically used by industrial facilities and power plants for process loads and can have an operating pressure of 16 to over 1,000 psig. IB&M can supply a new or used high-efficient steam process boiler system to meet any fuel requirement, including all auxiliary equipment. We have the experience and capabilities to completely design, install and start-up these systems for you. Our steam plant specialists are available 24/7 to provide comprehensive service and repairs - no matter what challenge you face. We also specialize in landfill gas conversions as well. Industrial Boiler and Mechanical can help you determine the best equipment solution for your unique steam generation needs. 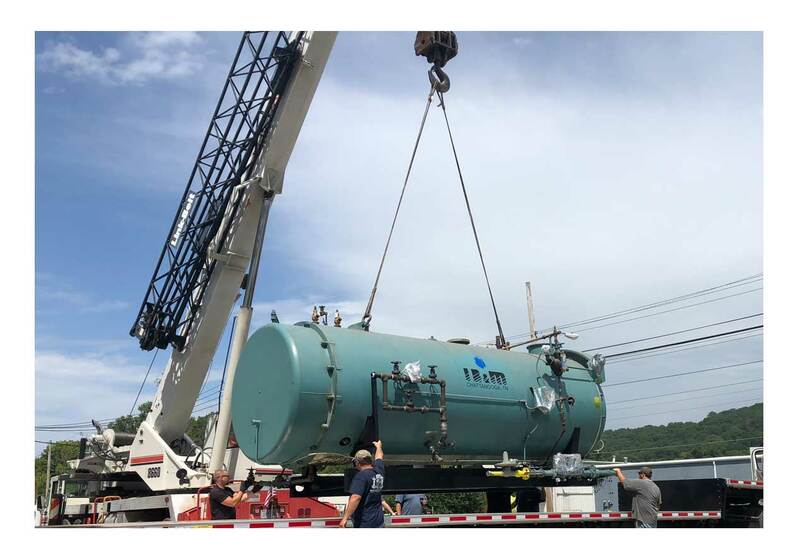 Contact IB&M today at (855) 753-BOILER to speak with our sales engineers about selecting the right new or fully reconditioned used boiler for your facility.